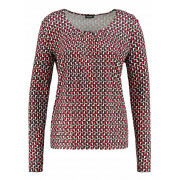 Chic and smart, this eye-catching top from Gerry Weber would look lovely worn with black trousers or a skirt for work or a casual evening dinner. 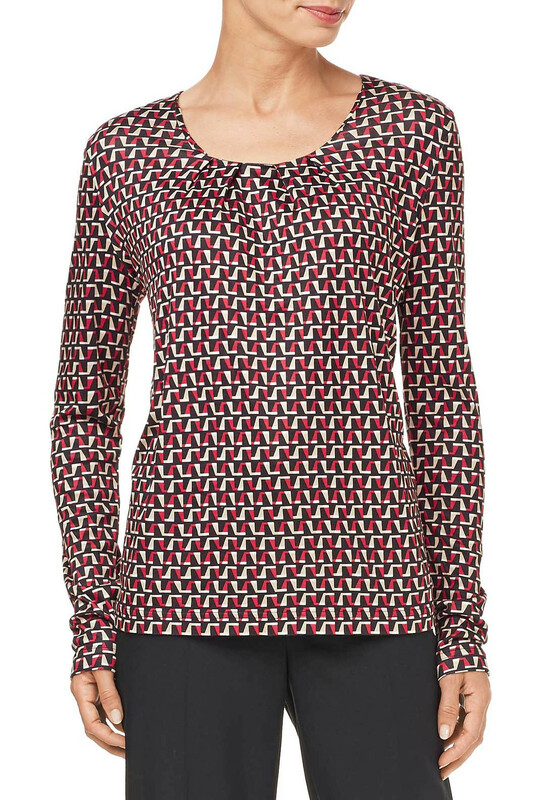 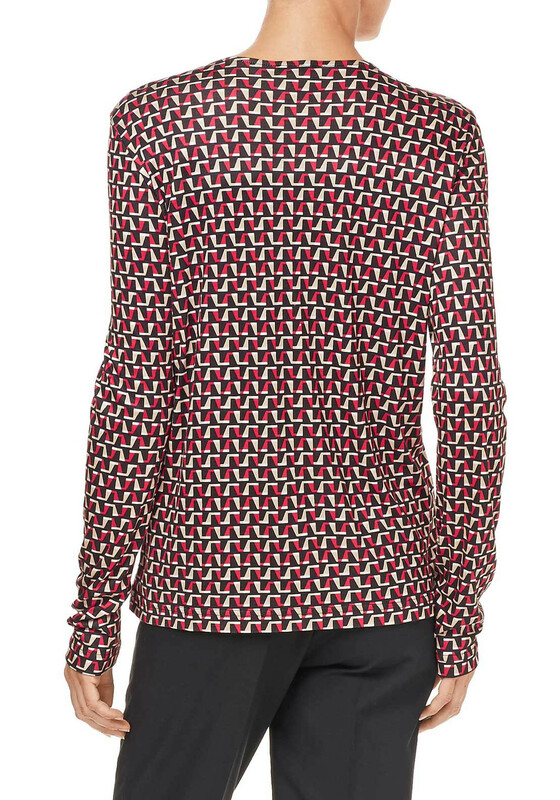 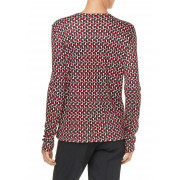 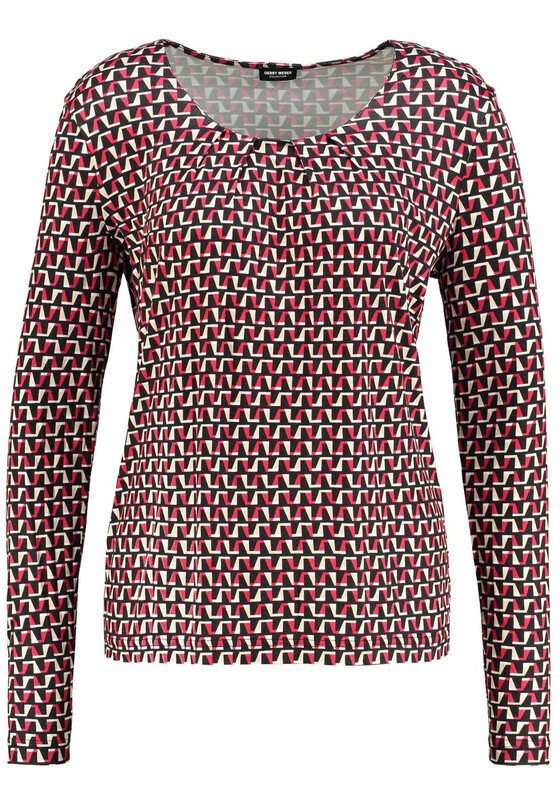 Crafted from soft and comfortable jersey fabric with a red, black and beige toned geometric print throughout. 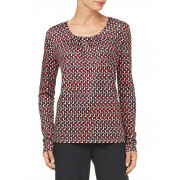 Designed with long sleeves and a classic straight shape.